Attitude is an expression of favor or disfavor toward a person, place, thing, or event (the attitude object). We all have that, just how we show it out to others. 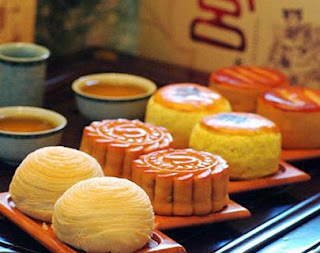 Since the Mid-Autumn Festival or Mooncake Festival is around the corner,most shopping centres, should have events selling or promoting their very own mooncakes.. Yes, someone so stingy like me, would be going around the events, doing all the food tasting of them all. That day during shopping trip, i came across one, and yes i did the same, by tasting the ones that they promoted. Firstly, i tried to walk around, and hopefully she wont pester me. *It did not work. And then horror happened ! Her face immediately had a 360 degrees turn into an angry face, and walked off ! I would expect her to smile, and at least say "Thank You". Oh, well.. she should have expected such situation in her line, but it's rather unprofessional to do so right in front of the customer. On another day, got an unknown call from some job agency guy.. who keep pestering to do an phone interview. Nicely i rejected him, and asked him to email me instead.. He was very reluctant to hang up the phone. I had no choice, this time, i was the one to show my Attitude to him. "I am sitting right outside my boss office" i replied him. After saying this, he still did not get the hint, but continued pestering me a few minutes, before ending the call. Several calls, were being seen on my mobile from the same number that day too. -___-"
You Know I'm Bad, I'm Bad... Come On, You Know..
We all have Attitude. However, do try to think of how the party receiving it feels, before showing Attitude.